Happiness. Freedom. Pain Release. Healing. Finding Love. BreakingNegative Patterns. Discovering Your Life Purpose. Winning That Promotion. Finding Success. Finally living YOUR dream life. 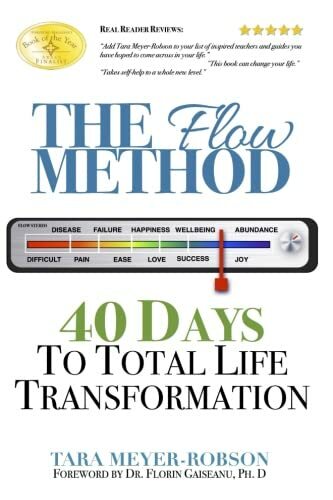 How Will The Flow Method “Retune” Your Life? Since 2007, The Flow Method has been changing people’s lives around the world, winning two awards and becoming internationally published. Now it is your turn to see what’s so unique about this ground-breaking program! In The Flow Method, I teach you to make unique connections between patterns in your life, your mental/emotional state, and any disease or pain you may be experiencing. It all comes down to something I call STATIONS. If you've ever used a radio, you'll understand the concept of Stations. Radios work by tuning into specific frequencies, depending on what you feel like listening to. So, if you like pop music and it's at 97.9 on the dial, you just tune your radio into that frequency and there you go! Pop music begins streaming through your speakers. If you have favorite channels that you frequently like to listen to, you simply program your radio buttons to tune into those channels with a single push of the button. Your mind is very much like a radio. Since quantum physics shows that everything we experience as life is actually wavelengths, then all of life is made up of different frequencies, flowing and moving and looking for matches. Your mind is the radio; it's always connected to this range of frequencies of everything in the universe. Your unconscious beliefs are like the programmed favorites on your radio - they are constantly scanning life and seeking experiences that match your programming. But, it's easier to reprogram the favorites on your radio than it is in your mind. Let's say that you decided you didn't like pop music anymore and wanted to reprogram the favorites button to tune into the jazz station instead? Pretty easy - hold the button until it's reprogrammed to the frequency of the jazz station. What if you just said that you wanted to tune into the jazz station, but didn't reprogram the favorites button. When you pushed it, you'd tune into pop music again and again, no matter what you said. You couldn't tune into anything different until you reprogrammed the frequency. It's the same with your mind. You can SAY you want to change your life, stop dating the same kinds of people, attract more money, find happiness, or whatever you want, but if the underlying programming is still tuned to the old frequencies, you will keep tuning into the old junk. You have to identify the old frequencies and reprogram specifically to totally shift to the life you want, so you stop attracting the life you don't. The Flow Method makes this process super simple. I was so sick of seeing everyone I knew (including me) trying to change their lives and not succeeding that I had to figure out what was going wrong and how to fix it. 1. Take The Flow Factor Test to identify in which of 7 Stations - or areas of your mind, body, and life - you are programmed with problem beliefs. 2. Go to those specific Stations to work on reprogramming it exactly how and where you need it. Get exact retuning statements to precisely rewrite the underlying programming. 3. Take the Reality Type Test to figure out how you learn best (which is how you rewrite your mind the easiest). 4. Create a super-simple action plan that is totally individualized to reprogram the areas that you need in the ways that work best for you. Awareness: By taking the revolutionary Flow Factor Test, you will pinpoint the unconscious beliefs “tuning” you in to negative patterns, disease, and pain. Empowerment: This book gives you the “how” to life transformation; it’s a system you can use again and again to transform anything in your life for the rest of your life. Health and Wellbeing: When you pinpoint the underlying issues and “Retune Your Stations,” you can shift pain and disease into health and happiness. Control: Through experiencing the system for yourself, you will finally feel that you are truly in control of your mind, body, and life. Freedom: How long have you been living a life of struggle? With The Flow Method, you will be unburdened and live a life filled with possibilities, not obstacles. Achievement: By learning how to retune your mind, body, and life, you can fine-tune the process to design and live the life YOU desire. Never “one-size-fits-all,” the entire process is totally personalized to you; there is no wasted time or frustrating exercises that don’t work. By taking the ground-breaking Flow Factor Test, you will pinpoint your most “out-of-the-Flow” Stations, allowing you to retune your problem areas first. You’ll have “aha!” moments as you finally zero in on the solution. Then, you’ll be directed through the process of designing a 40-Day Retuning Plan around your personal strengths and learning style. By doing simple exercises that work for your mind individually, you will be amazed as your mind, body, and life tune in to your true desires. What will your life be like 40 days from now? With The Flow Method, it can be amazing.